Since beginning his television career on Star Trek: The Next Generation, Naren Shankar has worked across the spectrum of science-fiction drama. 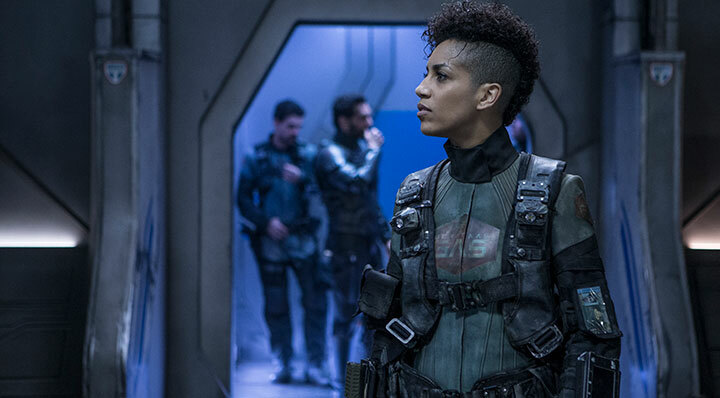 Now helming Syfy’s The Expanse, he discusses adapting the source novels and the increasing demands of being a showrunner. For most aspiring writers in the late 1980s and early 1990s, landing a job on Star Trek: The Next Generation must have seemed light years away. Yet that’s exactly where Naren Shankar got his big break in Hollywood at the start of a career that – eight years on CSI: Crime Scene Investigation apart – has been dominated by science fiction. Shankar has also written episodes of other Star Trek series, including Deep Space Nine and Voyager, and has worked on SeaQuest 2032 and The Outer Limits. Stints on Farscape and Almost Human came later, while he has also worked on fantasy series Grimm. 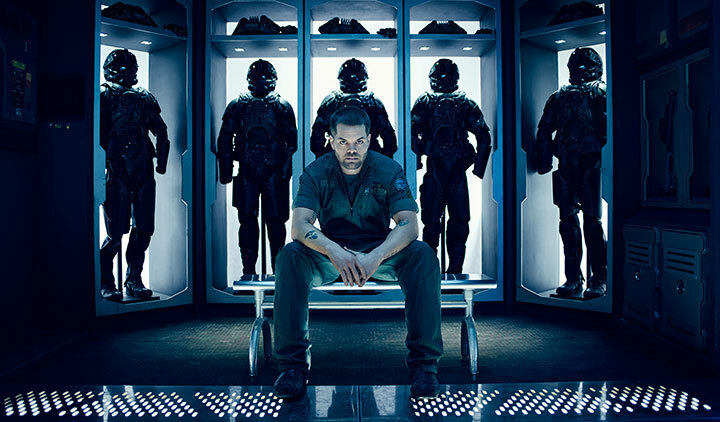 Shankar is now showrunner of Syfy space opera The Expanse, which has returned both the showrunner and the network to their respective space travel roots. Season one opens two hundred years in the future, when the case of a missing young woman brings a hardened detective (played by Thomas Jane) and a rogue ship’s captain (Steven Strait) together in a race across the solar system to expose the greatest conspiracy in human history. The series, produced and distributed by Alcon Television Group, is based on a collection of books with the same name, written by Daniel Abraham and Ty Franck (under the pen name James SA Corey). The books were acquired by Alcon and executive producer Sharon Hall, who developed The Expanse for a straight-to-series pickup with the Sean Daniel Company. Writers Mark Fergus and Hawk Ostby (who both worked Children of Men and Iron Man) were brought in to write the pilot, which was then picked up by Syfy for a 10-episode first season debuting in 2015. That’s when Shankar comes in. “Alcon had never done a television show before, neither had Mark or Hawk and neither had Sean Daniel Company,” he explains. “Sharon and I had worked together through the years so she reached out to me, and that’s how I got involved in the project. I met with the team and just hit it off. Joining Shankar in the writers room from the start have been the original novel writers Franck and Abraham – and though that could have been a difficult partnership, the showrunner says the pair have been very open to adapting their books for television. Much has changed in sci-fi, both on and off screen, since Shankar first started work on The Next Generation. He recalls the genre was “a little bit of a ghetto” with very niche storytelling that many people didn’t think translated into broad, mainstream entertainment. Now, however, elements of sci-fi are littered across the TV landscape, from The X-Files and Black Mirror to Stranger Things, Orphan Black and, of course, Star Trek: Discovery. 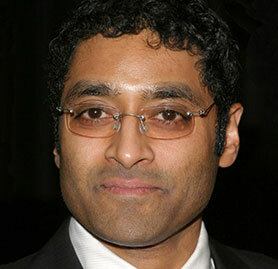 After spending the first 10 years of his career working in the genre, culminating in Farscape, Shankar transitioned to cop shows, admitting he no longer found much to interest him in the genre. Picking up The Expanse novels, Shankar found there was a lot of story condensed into each novel and that events moved quickly. So one of the first things he changed from the pilot when he joined the production was to shift the focus to character and give the show room to breathe. As a result, some elements cut from the original pilot eventually made their way to screen in episode four. Where The Expanse differs from other space-set dramas is in its dedication to physics, preferring to indulge the science part of science fiction that some titles in the genre have ignored. 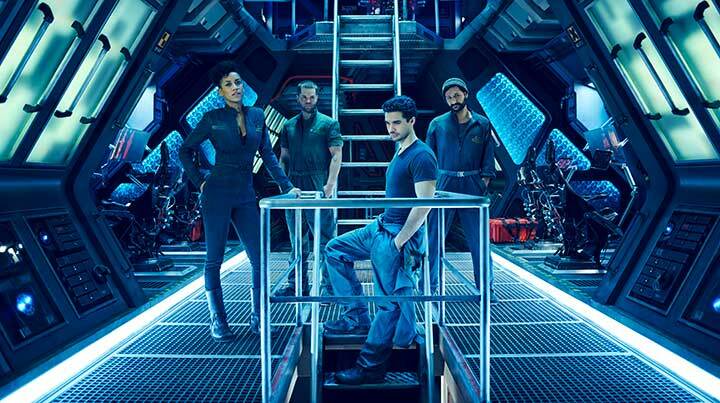 The Expanse, however, is firmly rooted in science reality, with the writing team tasked with considering issues such as the state of gravity. “If a ship’s not under thrust then the people inside have to be weightless, because that’s just how space works,” the showrunner says, offering one example. “Most television shows just ignore it [science], even Battlestar Galactica,” Shankar says, highlighting the space opera that ran on Syfy in the early 2000s. “It’s a war movie. The original series was about Pearl Harbor. Ron Moore turned it into a 9/11 allegory but in terms of the fighter battles, it is the Second World War in the Pacific. That isn’t how we do things on The Expanse. Battles are different but they’re much more about how, if you had these things happen in space, this is how they would be. Rockets only go in one direction, there are no brakes. The only way to turn around in space is to flip around and push the rocket the other way. The joke in our series pilot was the big action scene was a gigantic truck changing direction. That’s all it is. It feels very dramatic because of the aesthetic approach was to say living in space is hard, it’s difficult to do, it’s risky. 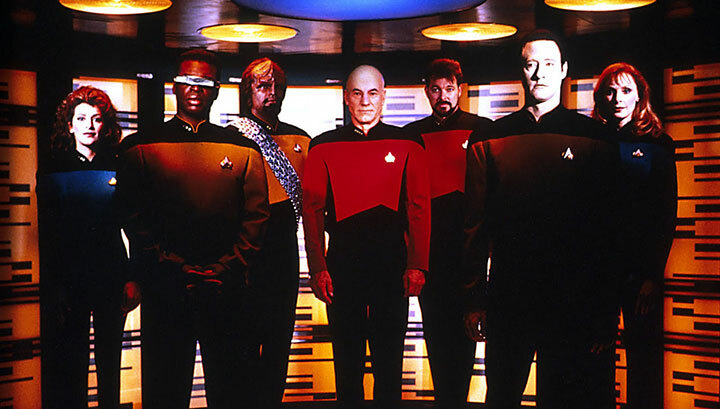 As a showrunner, Shankar says his method comes from his early Star Trek days, where the staff for the last two seasons included the aforementioned Ronald D Moore plus Brannon Braga and René Echevarria, with consultant producer Joe Menosky, showrunner Jeri Taylor and former showrunner Michael Piller. “The room was very egalitarian,” Shankar recalls. “It was the old adage of the best idea wins. There was very little hierarchy, everybody could argue, nobody was afraid of fighting with the boss or saying what was on their mind in a really healthy way. That’s how we broke stories and that’s how I like rooms. 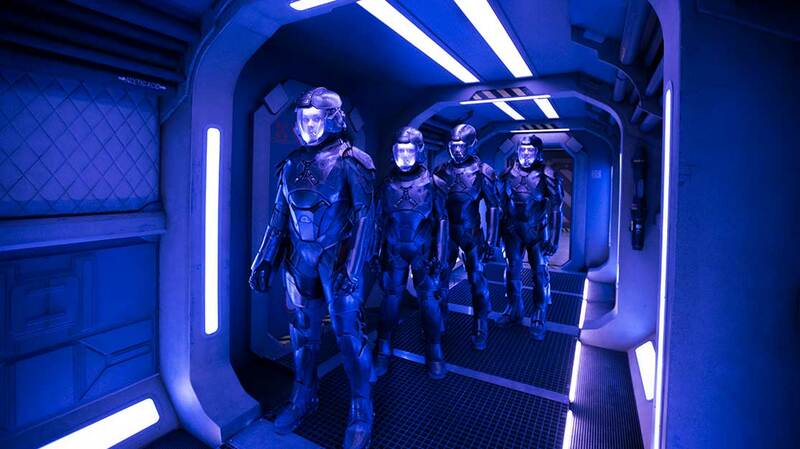 Having been a showrunner on CSI and now three seasons into The Expanse in the same position, Shankar describes showrunning as an “evolving” role, and considers television to be tipping into an auteur-based model often associated with cinema. “But I don’t know how great that is, necessarily,” he admits. “When I was starting out as a baby writer on Star Trek, the showrunner responsibilities were very much confined to the show. As the business has grown and as connections with the fans have grown, the portfolio for a showrunner has gotten much broader,” he explains, noting his responsibility in areas such as marketing and brand awareness, helping the show to break through the noise of more than 500 other scripted series in the US alone.